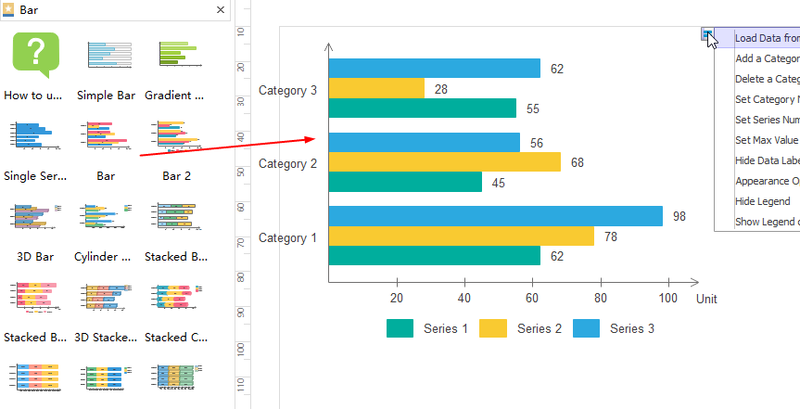 Form and chart can be great combination in displaying information and visualize data out of the information. 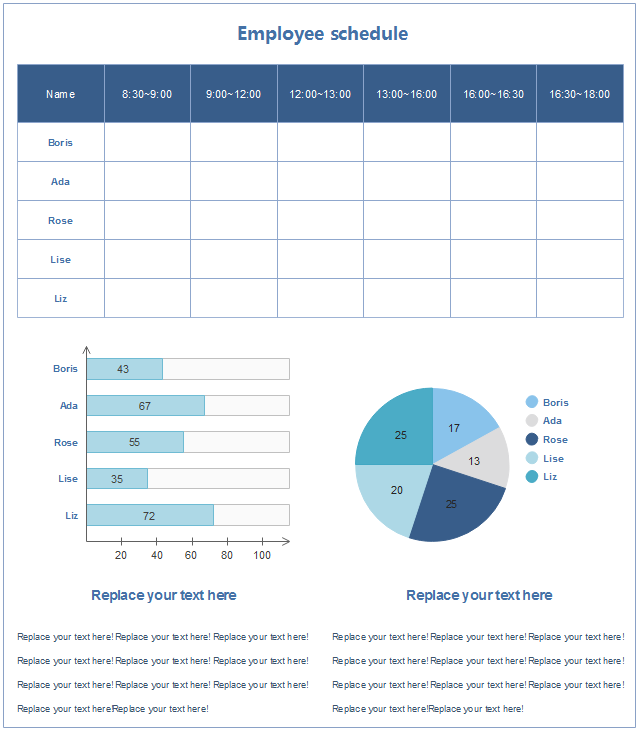 Here shows an excellent way in putting forms, dynamic charts and description texts together on 1 form sheet. Most people are familiar with Excel when comes to making forms. However, sometimes people got frustrated when they try to lay out a form with personalized requirements through Excel. Edraw form maker offers a much easier way in creating featured forms. It allows you to drag and drop dynamic charts to the form, and freely lay out the form and chart elements to the way you like. Open Edraw, and insert a table from the Insert menu. Set table row/column number, size, and style according to your requirements. On the same drawing canvas, you can add charts and graphs to any position. Our program includes templates of bar chart, column chart, line chart, pie chart, scatter chart, radar chart, etc. You can freely arrange the position of title, text description, table blocks and charts, and design your form in a visually pleasing style.